Bringing together professionals with different knowledge and skill sets, devising solutions based on diverse perspectives … the workplaces of today and tomorrow demand professionals who value collaboration and who thrive with innovative thinking. 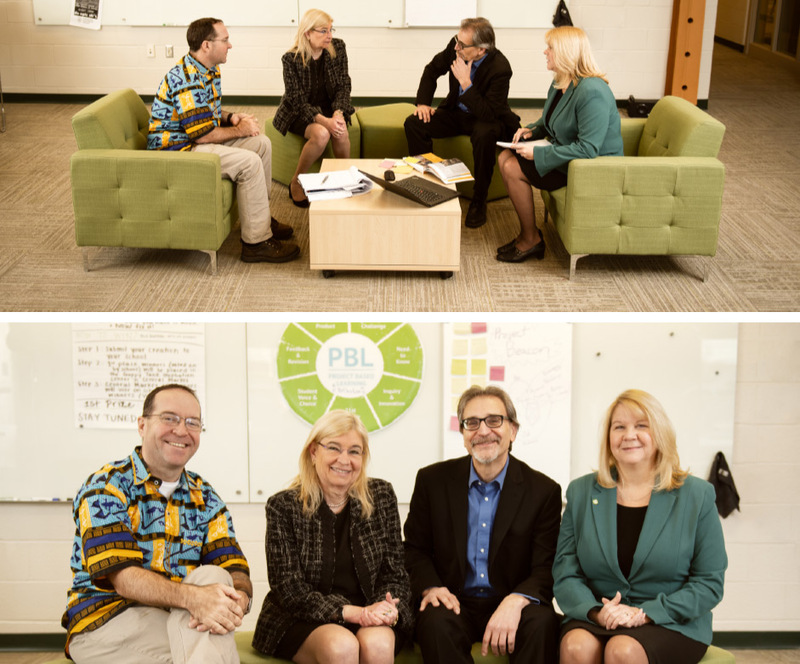 These elements are at the heart of York College of Pennsylvania’s (YCP) new Center for Collaborative Innovation (CCI). The CCI is an interdisciplinary resource linking YCP’s five schools of learning: The School of the Arts, Communication and Global Studies; The School of Behavioral Sciences and Education; The Graham School of Business; The School of Nursing and Health Professions; and The Kinsley School of Engineering, Sciences and Technology. “We are imagining things like team-taught courses by faculty in different disciplines or linked courses approaching questions from different perspectives,” adds Cindy Crimmins, Director for Academic Innovation. By encouraging interdisciplinary partnerships with faculty, staff and York community members (see pages 30-31), the CCI also positions YCP as a knowledge and research base that can drive innovation in fields from manufacturing and technology to health care and human services. “We generate the intellectual property and make contributions to a knowledge base that can make York College a support for local companies and organizations, and bring the College national and international recognition for our research,” says YCP Provost Dr. Laura Niesen de Abruna. At YCP, educating future creators and makers begins with collaborative innovation.